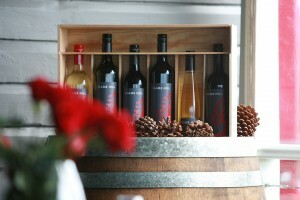 T reat your loved one, colleague or customer to the gift of a Flame Hill vineyard experience. Flame Hill vineyard has a range of celebration options and gift ideas, tailored to your group, business size or special occasion. Flame Hill wines are the perfect thank you to valued staff, family and customers, and can be personalised with a ‘corporate collar’, tailored for each gift recipient. In addition to our estate-grown wine and on-site Restaurant, Flame Hill vineyard also produces tantalising accompaniments including relishes/chutneys, our estate-grown Verdelho verjus, barrel port, gift hampers and other quality merchandise.